As the Welsh capital, it will come as no great surprise that Cardiff is steeped in history and a few of the city's most notable landmarks are positively ancient. Cardiff Castle is one such building and was first built by the Romans, roughly 2,000 years ago, although it was rebuilt towards the end of the 11th century by the Normans, and then renovated in the 19th century by the Victorians. Located on the northern side of the city centre and within Cathays Park, the City Hall stands just across from Cardiff Arms Park and the Crown Court. 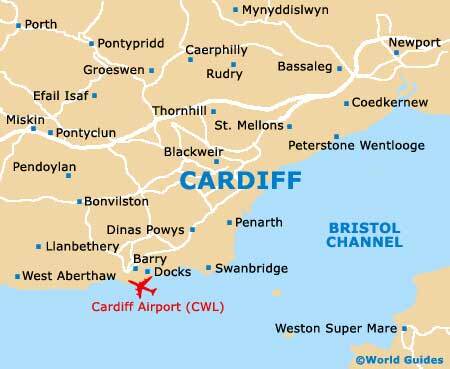 Other important regional landmarks include both St. David's Hall and Castell Coch, the latter of which lies on the north-western outskirts of the city, within the neighbouring village of Tongwynlais. 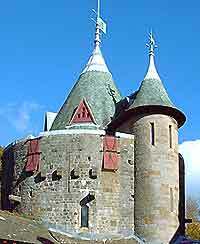 Castell Coch was constructed between 1871 and 1891, being built on the site of a 13th-century fortification. 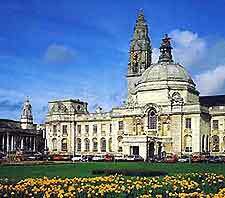 The City Hall is one of the most important landmarks in Cardiff and is situated in the heart of the city. Complete with a large domed roof, impressive architecture, a vast marble hall, regular exhibitions and period features, the City Hall also hosts many of the largest events and festivals. The grand building itself has been recently restored and has become synonymous with the city. 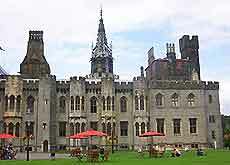 Cardiff Castle is a famous building known throughout Wales and is to be found situated in the very city centre. This immense and impressive castle is home to around 2,000 years of regional history. The grand exterior hides the elaborate and extravagant interior. There are also a number of detailed stone animals and carvings that decorate the spectacular facade. St. David's Hall features instantly recognisable architecture and can be found in the city centre. Now one of the leading centres for musical excellence in Wales, St. David's Hall hosts many major music festivals and events each year, including the Welsh Proms and the Singer of the World competition. With a vast concert hall that can seat almost 2,000 people, this local landmark is also home to many theatrical events, operas, comedy gigs, ballet performances, a restaurant, a bar and a coffee shop. The fairytale Castell Coch is situated nearby Tongwynlais and is one of the most splendid buildings in the area. With tall round towers and red turrets, the 'Red Castle' boasts romantic Gothic-style architecture and was originally created for the third Marquis of Bute.